Exciting display coming up in the University of Oxford’s Natural History Museum! 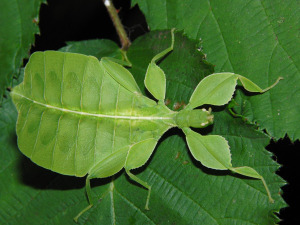 From the week beginning 28th of April and throughout May 2014, Oxford University Natural History Museum will be hosting a small exhibition on the history of natural mimicry and camouflage, curated by Dr Will Abberley. ‘Faking It: Victorian Natural History and the Science of Disguise’ will display books and papers from the museum archives relating to the Victorian naturalists Alfred Russel Wallace and Henry Walter Bates. There will also be eye-catching insect specimens from the museum’s Hope Collection which demonstrate natural mimicry and camouflage across the world. 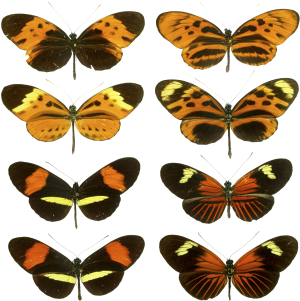 Dr Abberley will be giving a table-top talk at the museum on all of the objects and the historical background to theories of natural mimicry on Sunday 11th May at 11.30AM. See page 5 of the museum spring/summer programme for more details. The display will be found in the ‘Presenting’ case near the front entrance.